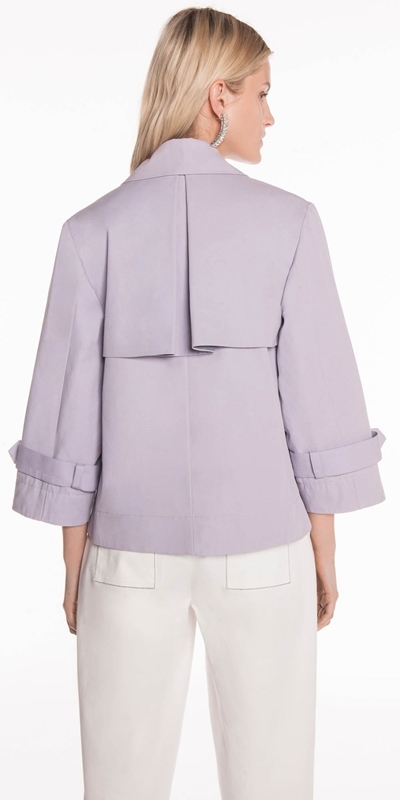 Made from a cotton twill this cropped double-breasted jacket features a wide collar and lapel, an asymmetric layered panel and angled side pockets. Finished with a buckle detail on the sleeve cuff. Fastened with a four-button closure at the centre front.